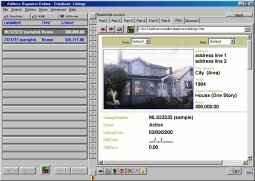 Argentum Coolbase is a versatile information manager that can keep any kind of information, such as text, numbers, links, pictures and music, in a tree-like database. It can serve you as a note taker, a diary keeper, a PIM, a text editor, and more! Specially designed for small to medium work groups to share data! To casting your unique corporate culture!